Free pickup in 2 hours. Not sure which AC unit to get? Let us help you choose the right air conditioner. Use our air conditioner calculator to be sure your AC unit has enough cooling capacity (BTUs). Just tell us your room size, we’ll let you know. Cool several rooms with ductless mini-split air conditioning without opening up your walls. Evaporative coolers, aka swamp coolers, use the cooling properties of water to lower temps. Best used in areas of low humidity and hot temperatures. Cool several rooms with ductless mini-split air conditioning without opening up your walls. Evaporative coolers, aka swamp coolers, use the cooling properties of water to lower temps. Best used in areas of low humidity and hot temperatures. Your comfort is our priority. When it comes to comfort in the warm seasons, there are a few things to consider when choosing the right AC unit for your space. First, figure out the cooling capacity of the air conditioner unit you need in relation to the size of the room. By cooling capacity, we mean British thermal Units or BTUs. 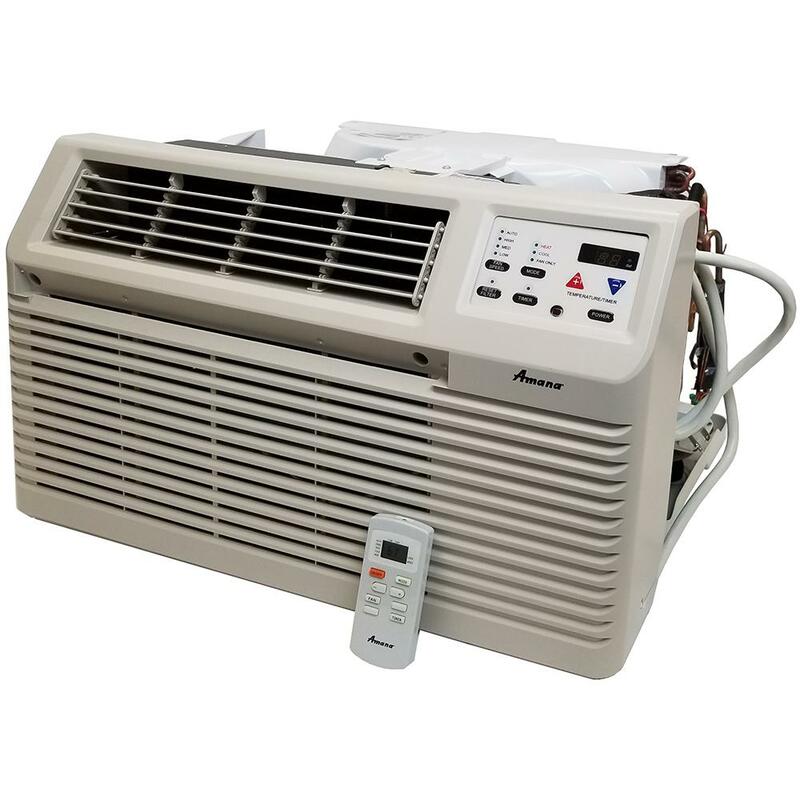 Use our BTU to room size air conditioner calculator to get started. Factor in how much sunlight the room gets. If full sun, increase BTUs by 10 percent, heavy shade lower by 10 percent. Where to install your new air conditioner? You have choices. Window air conditioners are affordable and easy to install. Portable air conditioners can be moved between rooms. 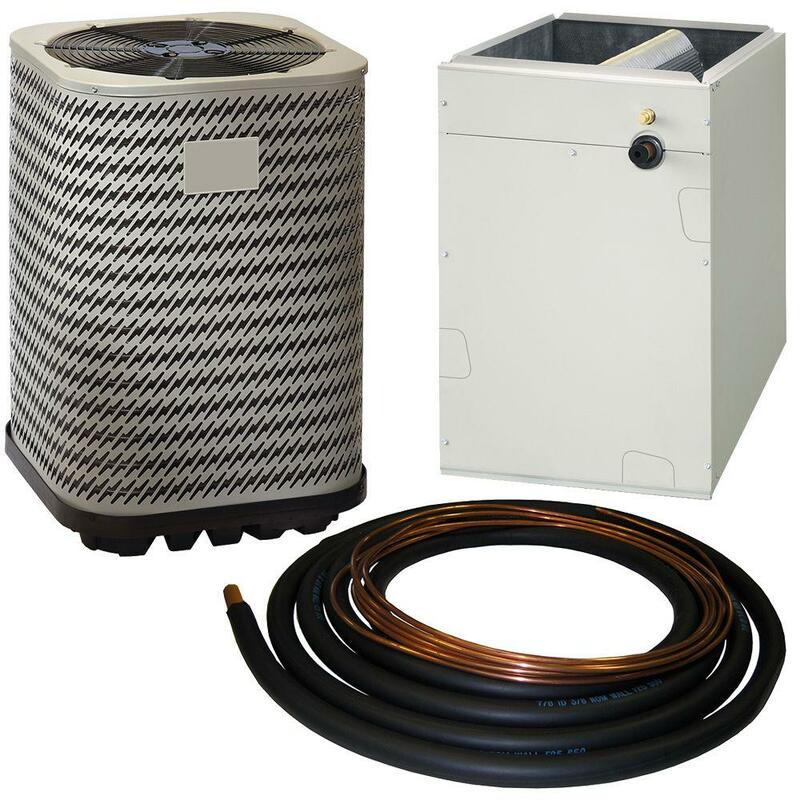 Consider a wall air conditioner if you want to install a permanent AC unit that blows hot and cold air. For more pros and cons, check our air conditioning buying guide. Of course, we're here to help install central air conditioners. We can service HVACs, too. Keep the cool air in and the hot air out. Energy Star air conditioners are made with effective insulating material and are built with a seal that minimizes leaks. You’ll save money on energy bills. A personal fan can make you feel cooler, whether at your desk or working in the garage - they’re portable and convenient. Consider a floor fan for larger areas. We carry all the air conditioning supplies you’ll ever need. Get wall cases for wall air conditioners, mounting brackets for ductless mini splits and ac unit covers. We’ll install your central air conditioning and haul away your old one. Don’t sweat it. Order a new air conditioner online and pick it up in two hours. Or, have us deliver it fast. You'll be chilling in no time.